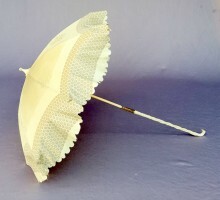 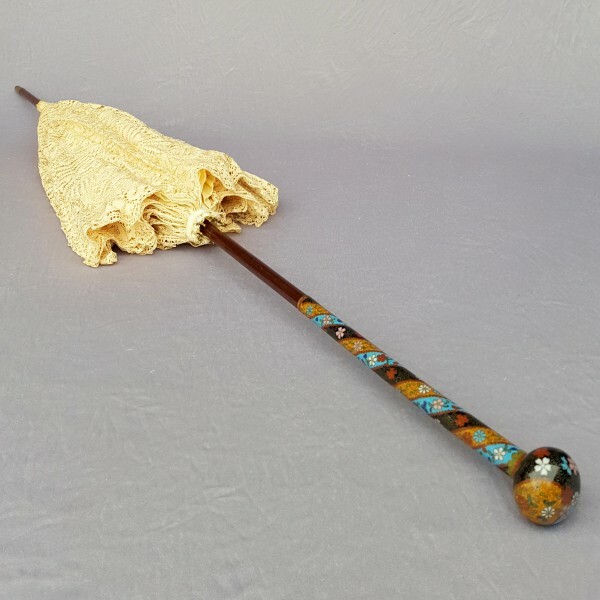 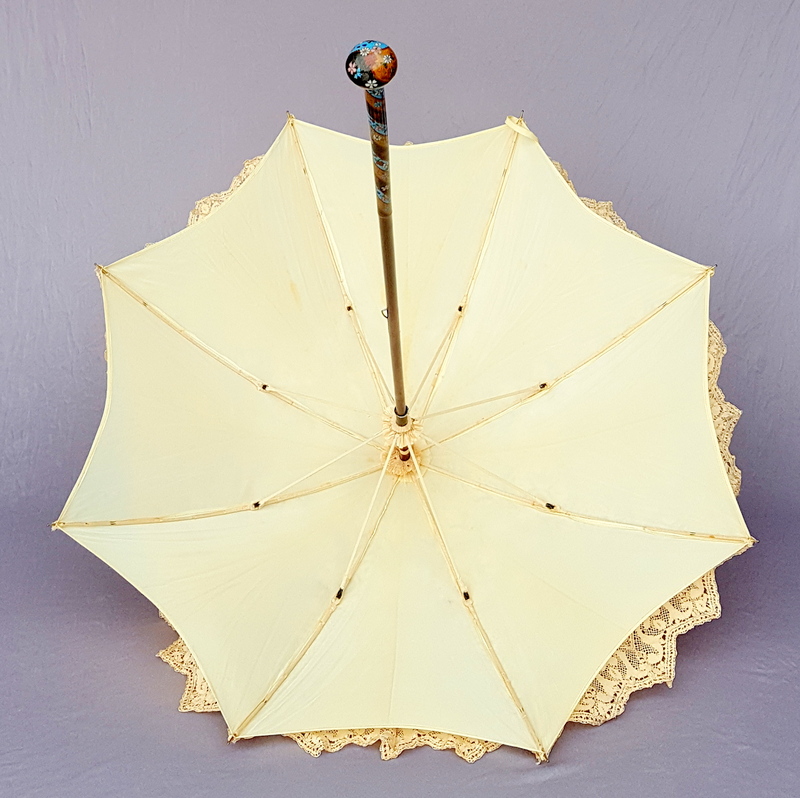 Umbrella 1900. 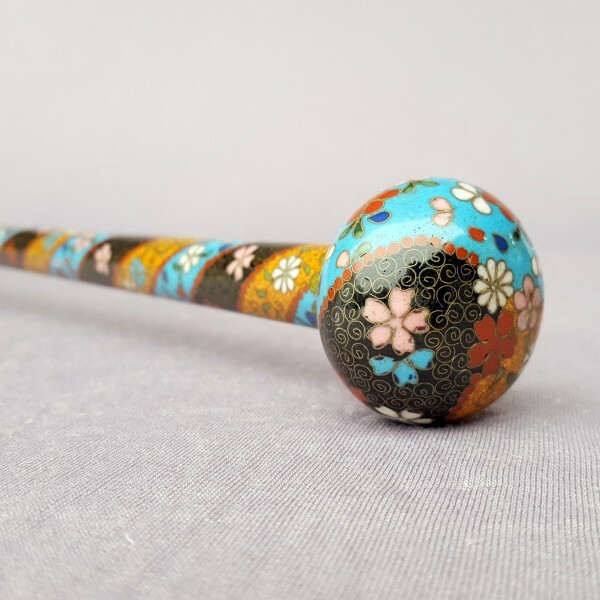 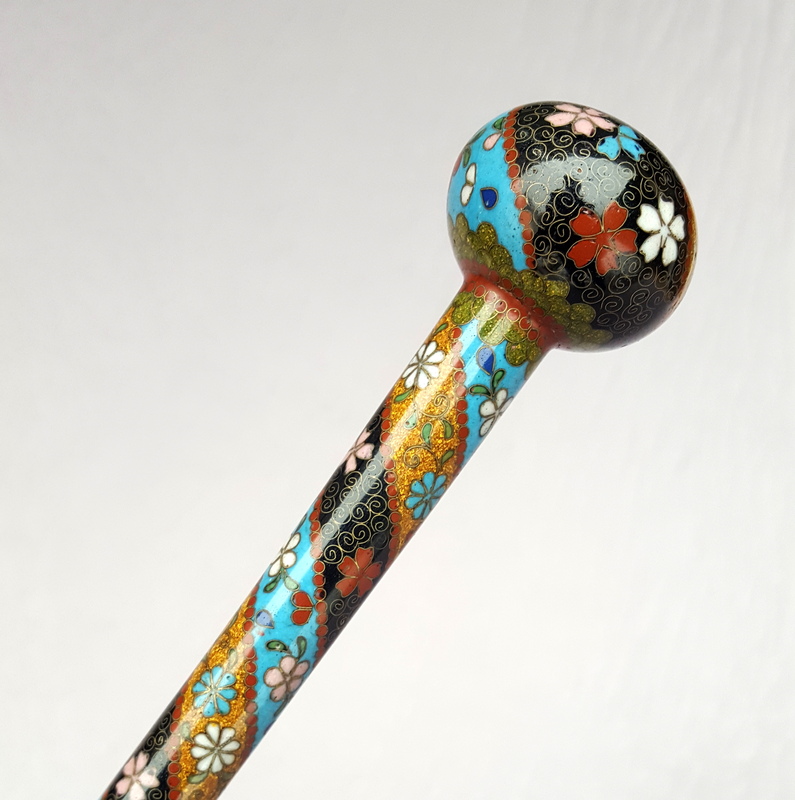 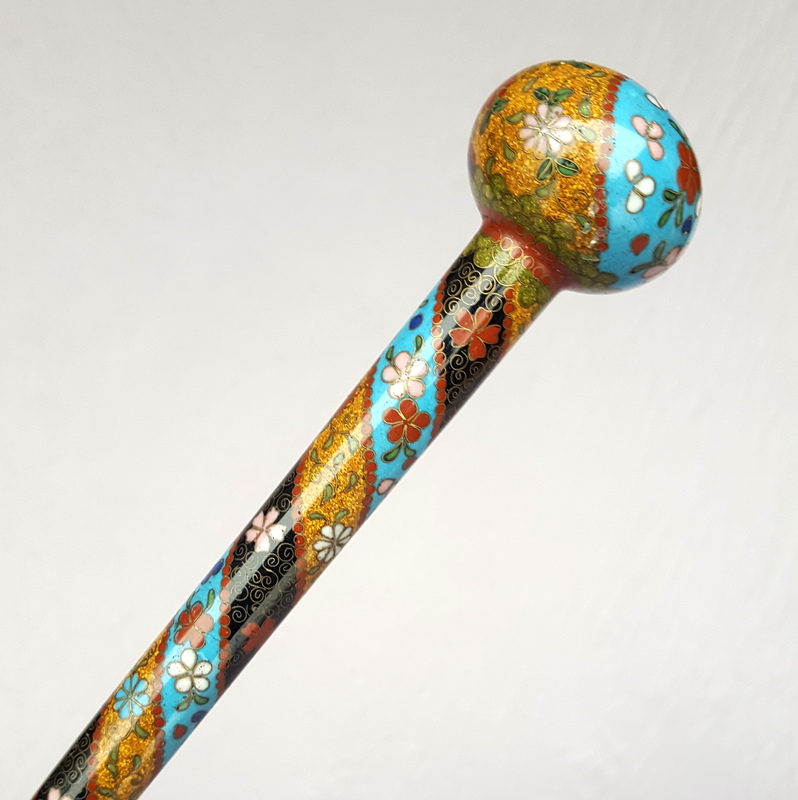 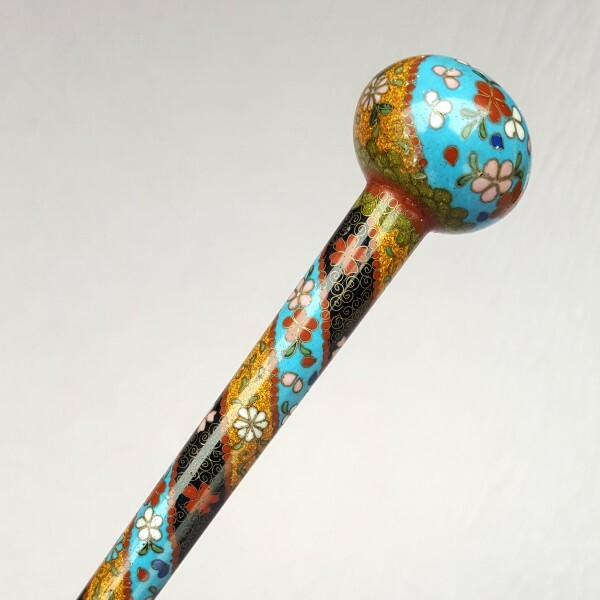 Rare cloisonne enamel handle with flowers. 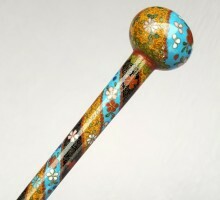 Stick in precious Rose Wood. The canvas was later changed (probably in the 1930s) and decorated with a beautiful floral lace. 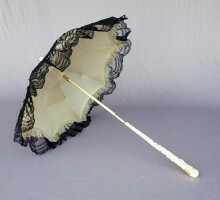 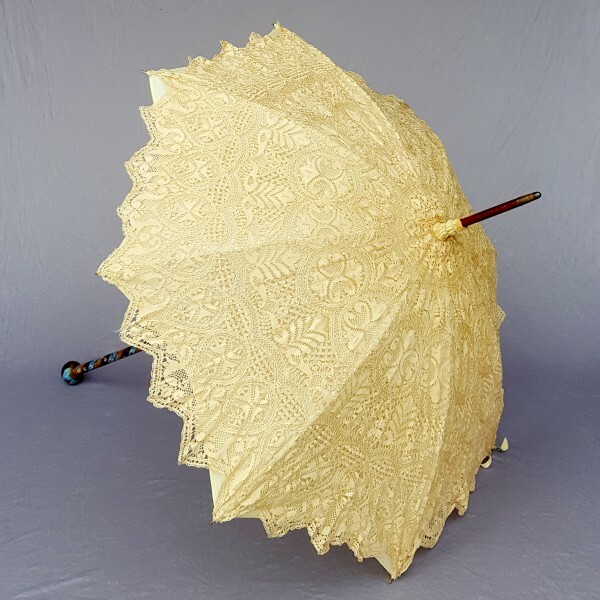 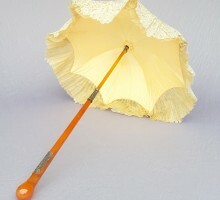 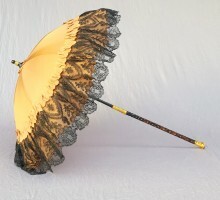 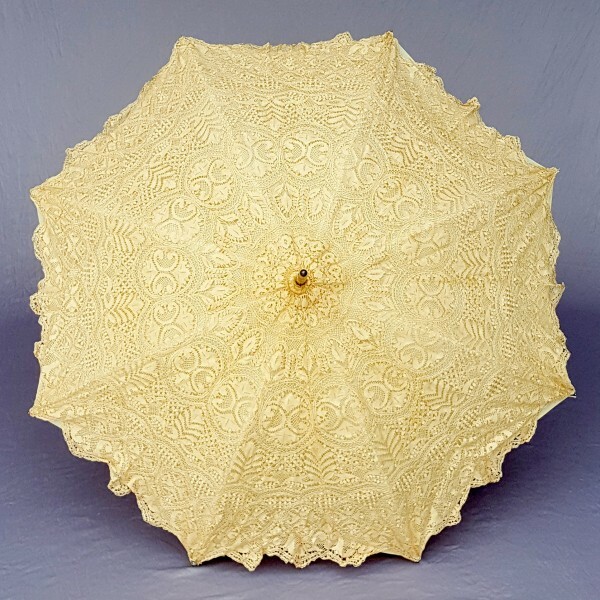 the umbrella is 38,97″ long and 30,31″ in diameter. 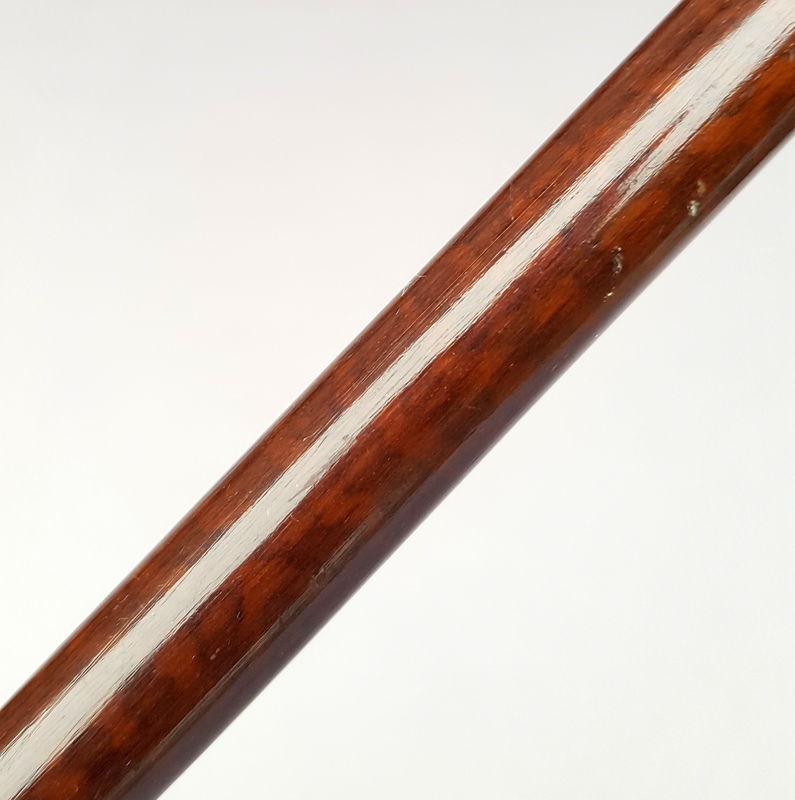 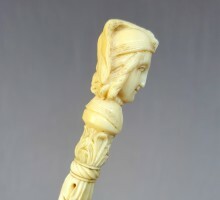 The handle and structure are in perfect condition, the canvas and slightly yellowed and there are some discrete spots.